More than a third of Russians say the Soviet Union was correct to intervene in Czechoslovakia in 1968 and nearly half of the population says it knows nothing about the invasion at all, according to new polling data obtained by the Guardian before its release on the 50th anniversary of the crushing of the Prague spring. The polling data reflects the resurgence of “Brezhnev-era propaganda, stereotypes of the Soviet period,” said Lev Gudkov of Russia’s Levada Center, which will release the results on Monday. 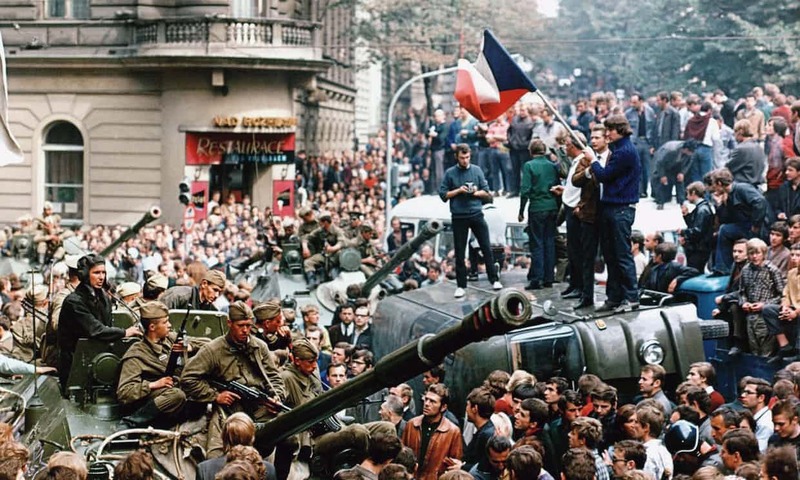 More than a fifth of Russians blamed a “subversive action by western countries” to split the communist bloc for a Czechoslovak programme of liberalisation that ended in a Soviet-led invasion of the communist country.